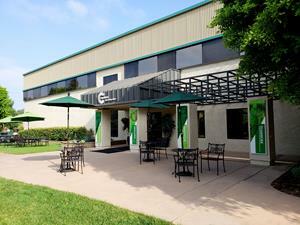 VAN NUYS, Calif., Sept. 06, 2018 (GLOBE NEWSWIRE) -- Capstone Turbine Corporation (www.capstoneturbine.com) (Nasdaq: CPST), the world’s leading clean technology manufacturer of microturbine energy systems, is pleased to announce that it will host an equity analyst and investor open house at its Van Nuys, California facility on Wednesday, October 3, 2018, beginning at 10:00 a.m Pacific Time and concluding at 12:00 p.m. Pacific Time. Operations overtime has been reduced by approximately 50% as a direct result of streamlining all operational processes from the consolidation of facilities. Equity analysts and investors will have the opportunity to tour the recently consolidated Van Nuys manufacturing facility and world headquarters located at 16640 Stagg Street in Van Nuys, California. In addition, participants will be able to ask questions and interact directly with key members of management on an informal basis. Attending from the company will be Darren Jamison, President and Chief Executive Officer; Jayme Brooks, Chief Financial Officer and Chief Accounting Officer; Jim Crouse, Executive Vice President of Sales and Marketing; Jeff Foster, Senior Vice President of Customer Service and Quality; and Kirk Petty, Vice President of Manufacturing, in addition to other key members of the management team. “We are excited to host an open house as part of our continuous effort to enhance transparency with our shareholders and the investment community and show them firsthand how we successfully combined our two manufacturing facilities into one, and in just nine short months. This was a key piece of our strategic cost-cutting effort, and the results of the consolidation have greatly improved Capstone’s overall efficiency, reduced waste and improved our corporate culture,” said Darren Jamison, Capstone’s President and Chief Executive Officer. “Using Six Sigma and Lean methodologies, we’ve been able to see significant improvements through the streamlining of all operational processes, including direct manufacturing and administrative support functions,” said Kirk Petty, Capstone’s Vice President of Manufacturing. 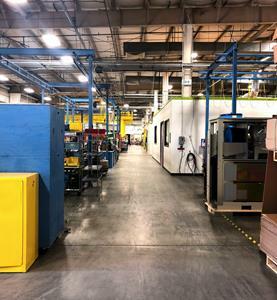 “As a result of our successful facility consolidation, we have reduced operations overtime approximately 50%, which is making overtime significantly lower as a percentage of revenue. In fact, we recently achieved less than a .002% total annual physical inventory variance which was one of the lowest in Capstone history,” added Mr. Petty. Company executives will present Capstone’s FY2019 strategic business goals, corporate overview and growth strategy. Company executives will be available for a thirty-minute question and answer session immediately following the company presentation and prior to the facility tour. “I look forward to sharing management’s vision on how we can continue to improve on the estimated $194 million in annual energy costs and 314,000 tons of carbon we saved customers last year. Furthermore, we have an excellent opportunity to build on our strategic goals and recent achievements,” concluded Mr. Jamison. Equity analysts and investors interested in attending should contact Integra Investor Relations at cpst@integra-ir.com as pre-registration is required to attend the Open House event and the number of participants is limited. The Company’s presentation can be viewed the day of the Open House by visiting the Investor Relations section of the Company’s website at www.capstoneturbine.com.